the long, knotted fingers, supple thumb, a low-set and long thumb, conical tips of all fingers except the thumb. These signs show that he is a dignified person and a thinker. The philosophical and serious bent of mind further confirmed by his Saturn finger and its phalanges. He tends to go into the details. The disadvantage is that at times the larger picture may escape him, so engrossed does he tend to get in the finer points of issues. This means that not all his decisions are right from the viewpoint of his flock, and neither may he be objective or "fair" all of the time, but this is not about the ego, because the shape and position of Burhanuddin’s Jupiter finger do not show excessive ego. In fact, humility is present in his personality. The overall shape of his hand and fingers show the qualities of idealism, with a tendency towards superstition and being influenced by omens and signs. Such people are idealistic before they are practical, and likely to stick to their beliefs no matter how much evidence is presented to the contrary. This quality is common amongst true believers. What it does show, however, that Burhanuddin is a true believer. As his hand also shows a talent for eloquence and the use of flowery language, he is a picture book religious leader. However, Burhanuddin’s hands do not show his nature to be as hard or rigid as some other religious leaders with this level of idealism. He has the qualities of impressionability strongly etched on his hand as well as a strong impulsiveness which softens his personality. There is an element of gullibility in his personality, but also a certain shrewdness and manipulativeness. These qualities exist together. Interestingly despite his idealism and impressionability, Burhanuddin’s hand shows him to be a doer. His hands show executive ability. 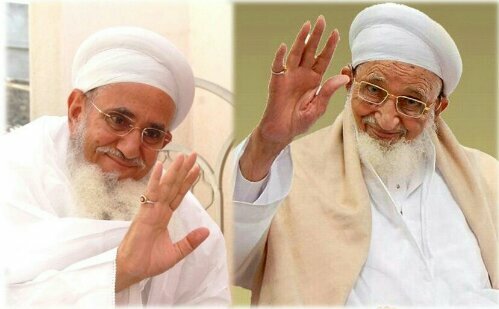 In conclusion, one can say that although Burhanuddin's hands show him to think narrowly at times, he is no doubt a genuine spiritual leader, very religious, idealistic and with a deep compassion for humanity. Related Reading: Hand analysis of Ayatollah Khomeini or hand analysis of Spiritual Leaders from different faiths like that of the Dalai Lama or Mahatma Gandhi or the Pope. I don't know who he is, but aren't all spiritual leaders idealistic and manipulating at different stages of their lives? 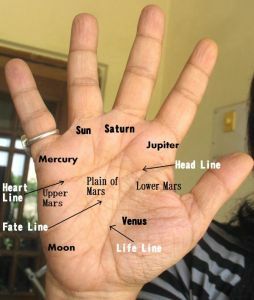 Does your hand reading say anything about ego? I think religious leaders in general have a lot of ego. Well, not all spiritual leaders are idealistic, because there are many frauds going around, and I have written about them on this blog. About being manipulative, no, all of them are not like that. About ego, again, there are some megalomaniac spiritual leaders who are like that, but again a true one will not be. I have mentioned that this person has little ego.